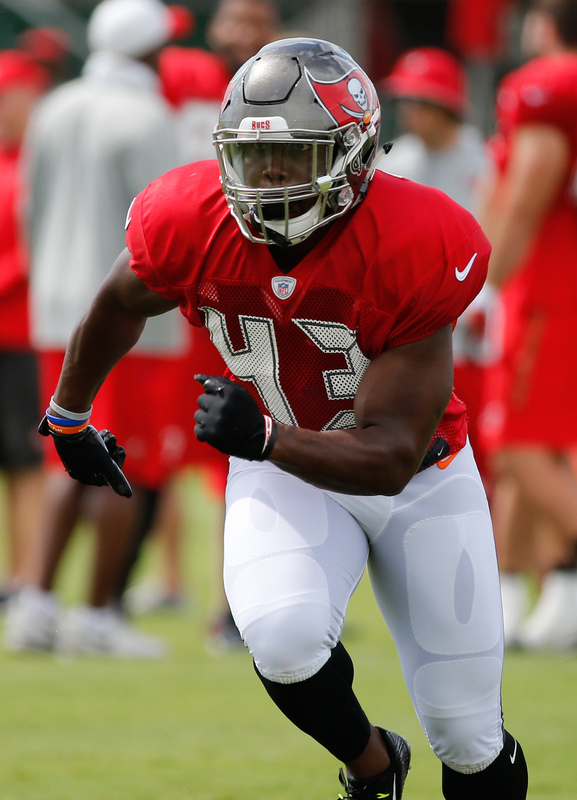 The Buccaneers are keeping Peyton Barber in the fold. On Wednesday, the Bucs re-signed the running back rather than placing the low-round tender on the restricted free agent, as Greg Auman of The Athletic tweets. The low-round tender, worth $2.02MM, would have given the Bucs the first right of refusal. However, they would have received no compensation for the former undrafted free agent if they chose not to match. Conversely, with the second-round tender, the Bucs probably would have been able to scare away any other interested team. That tender, meanwhile, would have cost them just over $3MM for 2019. They avoided that whole mess by simply hammering out a one-year deal with him. Barber, 25, ran for 871 yards off of 234 carries last year, giving him a 3.7 yards per tote average. That mark was a career low for him, while his 234 carries were far and away his career best. The Bucs have re-signed running back Peyton Barber to a one-year, $630K contract through 2018, a league source tells Field Yates of ESPN.com (on Twitter). As of this writing, he could be in the mix to start at running back, but the Bucs are expected to continue to explore their options. Barber, an Auburn product, missed the 53-man cut last year but was quickly added to the team’s practice squad after clearing waivers. Before the first game of the season, Barber earned a promotion to the varsity squad. In 2017, Barber averaged 3.9 yards per carry with three touchdowns. He also added 16 catches for 114 yards. Barber becomes the second players on the Buccaneers offense to re-sign with the team this offseason, though it was for considerably less money. 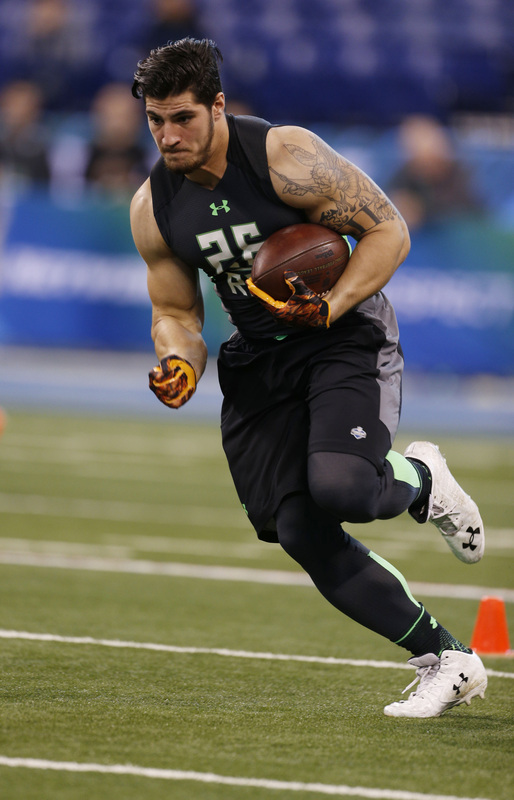 The team locked up wide receiver Mike Evans with a five-year, $82.5MM extension last week. Barber did his best work late in the season including a 100+ yard performance against the Packers in early December. It served as the team’s first 100-yard rushing performance of the season. Barber’s biggest competition for a starting role on the Buccaneers’ current roster would be Jacquizz Rodgers. Tampa Bay has already released Doug Martin and Charles Sims is due to become an unrestricted free agent. It’s likely the Buccaneers could still be on the lookout for upgrades at running back after ranking No. 27 as a team last year with 1,450 yards rushing. Entering Tuesday, Tampa Bay ranked fifth in the NFL with $62.13MM in available cap space. Some of the top running backs set to hit the open market include DeMarco Murray, Jonathan Stewart, Danny Woodhead, Isaiah Crowell, Dion Lewis and Carlos Hyde. Although the result of the Patriots-Bills game this afternoon was an expected New England victory, something rather surprising did happen during the fourth quarter of the contest. Up handily by 20 points, Tom Brady threw an interception to cornerback Tre’Davious White. However, when the rookie fell down after his return, tight end Rob Gronkowski clearly hit him in the head while he was just face down on the turf. Gronk was not thrown out because of his malicious action, but Kevin Seifert of ESPN.com was surprised he wasn’t and thinks further punishment could be coming for the star tight end. Seifert points out in his piece that former NFL referee Dean Blandino said that Gronkowski should have been ejected for the hit and that he could “maybe” be in-line to miss game action for the incident. The NFL will review the situation over the next 24 hours and see what type or if any discipline is needed. Gronkowski clearly lowered his shoulder into White well after the play was over, seeming upset that the 2017 first rounder picked off Brady in his direction. However, Seifert notes that the 28-year-old doesn’t really have a track record of misbehaving on the field, despite some minor incidents. The league will also take into account that Gronkowski apologized immediately after the game. While the NFL did levy two-game suspensions to Aqib Talib and Michael Crabtree this past week, this situation is clearly different given that there was no history of bad blood between the two players, Though, it’s clear that the Pats All-pro was in the wrong and could miss time or at least get heavily fined because of his actions on the field today. Despite being benched for the remainder of the regular season, Eli Manning remained rather unequivocal when asked if he will suit up for another year in the league, according to Jordan Raanan of ESPN.com. “I plan on playing next season,” Manning said twice Sunday after the Giants‘ 24-17 loss to the Raiders. It’s more likely that the veteran signal caller won’t be back with the Giants after what’s transpired this past week. However, that doesn’t mean Manning won’t have his suitors. While he may be 37 years old heading into next season, the two-time Super Bowl winning QB should garner interest from a host of quarterback needy teams. Manning is clearly not the player he once was, but with the need at the position still so high around the league, his track record is tough to come by on the open market. He’s under contract with New York for 2018-19, but the front office could trade him at some point in the offseason or release him before March 18, 2018, when he is due a $5MM roster bonus. The Buccaneers lost their eighth game of the season when the Packers were able to seal the contest in overtime, but running back Peyton Barber was a major bright spot for the team, opines Roy Cummings of Florida Football Insiders. With Doug Martin out due to a concussion, the 23-year-old back carried the ball 23 times for 102 yards. Cummings points out that it was the team’s first 100 yard rushing effort from a tailback since late last season. In his second year since being undrafted out of Auburn, Barber’s performance on Sunday likely earned himself some more chances to impress in the final four weeks of the regular season. Browns rookie safety Jabrill Peppers injured his knee in the team’s game against the Chargers this afternoon, according to Pat McManamon of ESPN.com. Head coach Hue Jackson said that the first round pick will get an MRI tomorrow in order to assess just how serious the injury is. Cleveland has backup safeties Derron Smith and Kai Nacua should Peppers need to miss time.